Medpace Holdings Inc (NASDAQ:MEDP) investors should be aware of an increase in hedge fund interest of late. 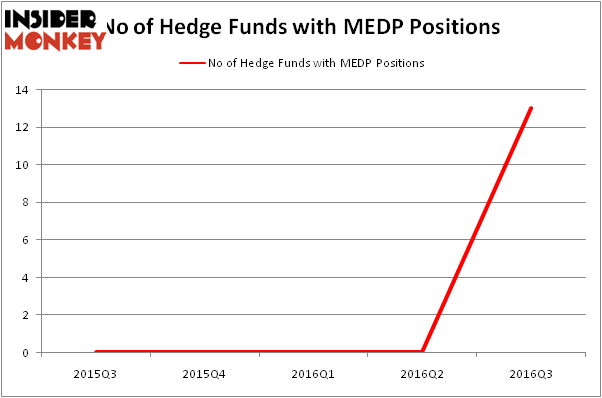 There were 0 hedge funds in our database with MEDP positions at the end of the previous quarter, as the company completed its initial public offering (IPO) in August. The level and the change in hedge fund popularity aren’t the only variables you need to analyze to decipher hedge funds’ perspectives. A stock may witness a boost in popularity but it may still be less popular than similarly priced stocks. That’s why at the end of this article we will examine companies such as Nextera Energy Partners LP (NYSE:NEP), Schweitzer-Mauduit International, Inc. (NYSE:SWM), and BMC Stock Holdings Inc (NASDAQ:BMCH) to gather more data points. Follow Medpace Holdings Inc.Follow Medpace Holdings Inc.
With all of this in mind, we’re going to view the latest action surrounding Medpace Holdings Inc (NASDAQ:MEDP). What does the smart money think about Medpace Holdings Inc (NASDAQ:MEDP)? Heading into the fourth quarter of 2016, a total of 13 of the hedge funds tracked by Insider Monkey were bullish on this stock. With the smart money’s capital changing hands, there exists an “upper tier” of notable hedge fund managers who have initiated large positions in the company following its IPO. 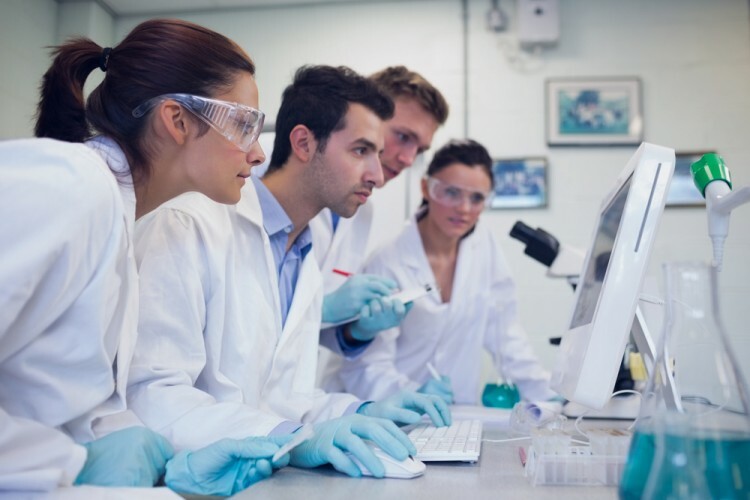 According to publicly available hedge fund and institutional investor holdings data compiled by Insider Monkey, Adage Capital Management, led by Phill Gross and Robert Atchinson, holds the largest position in Medpace Holdings Inc (NASDAQ:MEDP). According to regulatory filings, the fund has a $20.9 million position in the stock, comprising 0.1% of its 13F portfolio. Sitting at the No. 2 spot is Arthur B Cohen and Joseph Healey of Healthcor Management LP, with a $9.8 million position; the fund has 0.6% of its 13F portfolio invested in the stock. Other members of the smart money that hold long positions encompass Efrem Kamen’s Pura Vida Investments, Kris Jenner, Gordon Bussard, Graham McPhail’s Rock Springs Capital Management and Michael Castor’s Sio Capital. We should note that none of these hedge funds are among our list of the 100 best performing hedge funds which is based on the performance of their 13F long positions in non-microcap stocks.